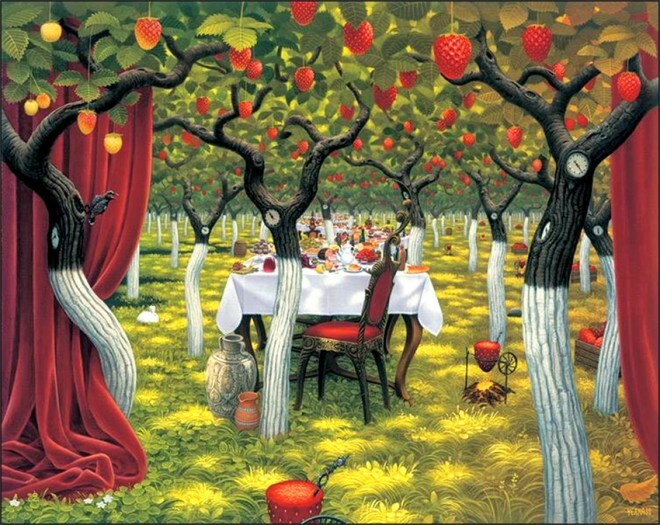 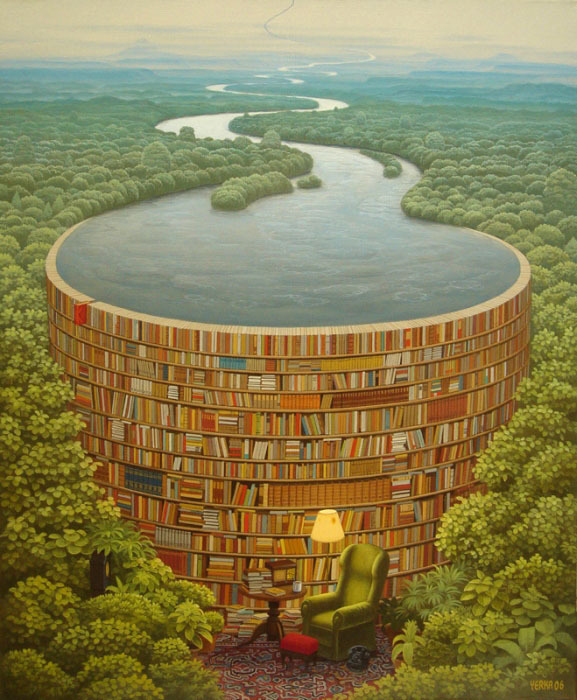 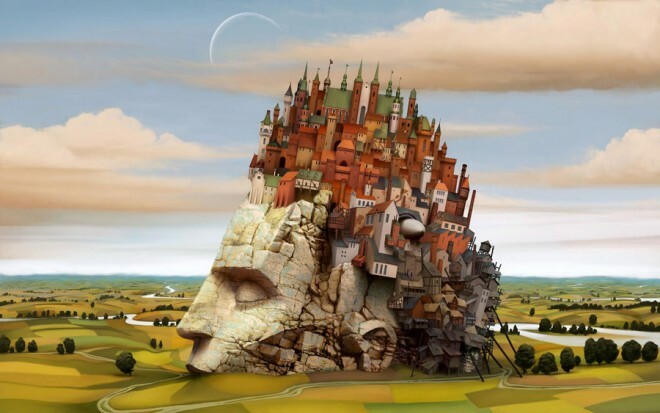 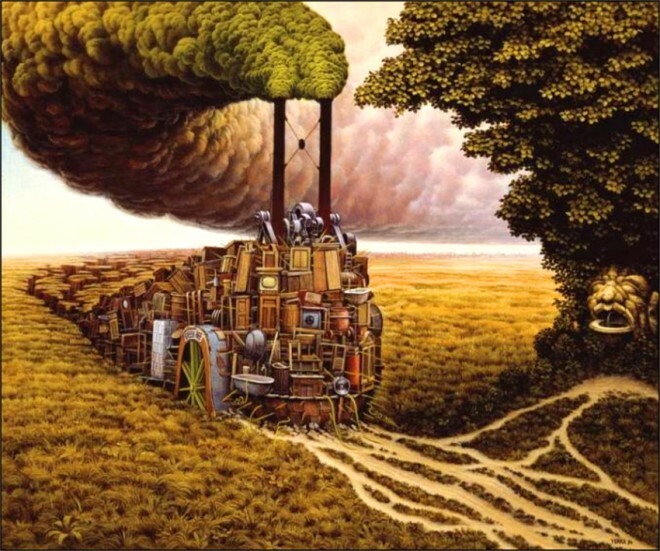 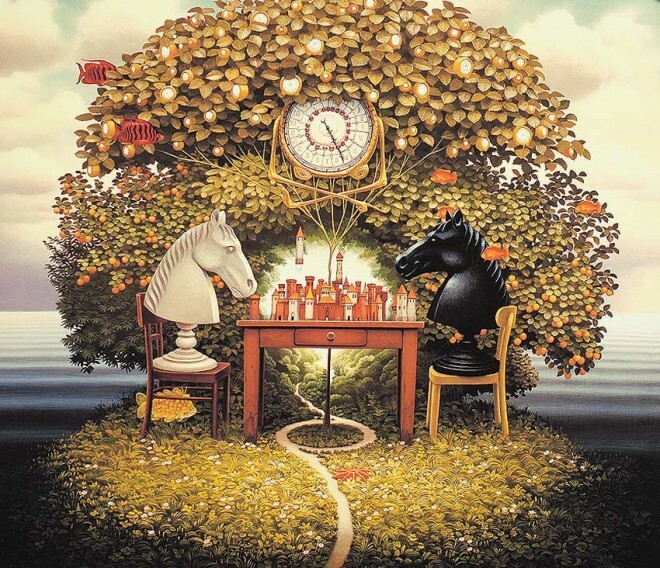 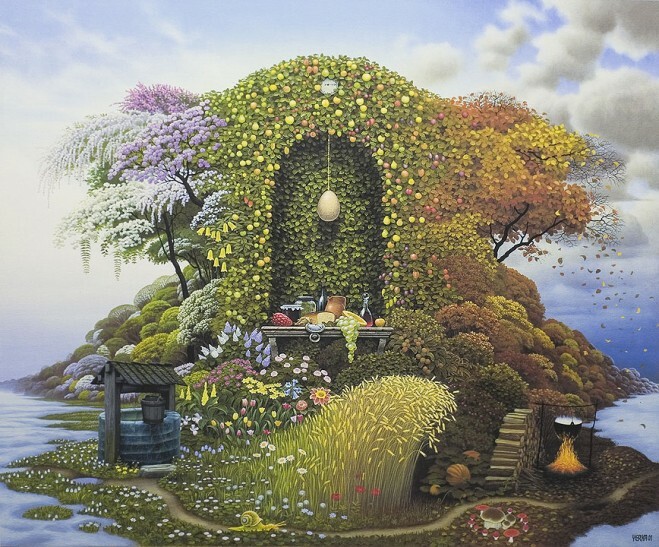 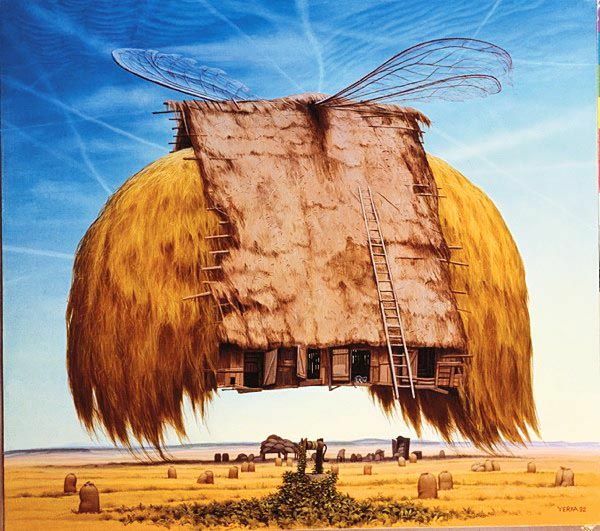 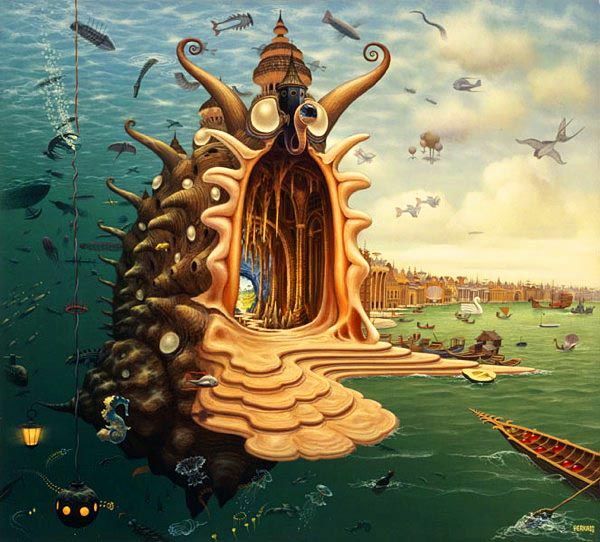 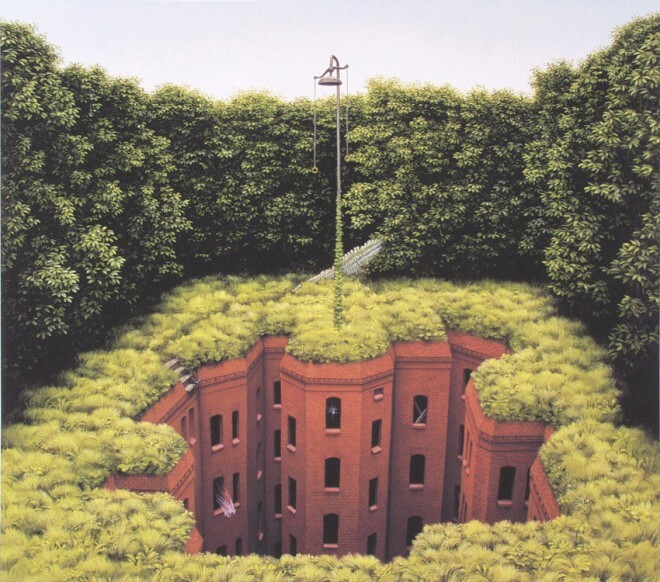 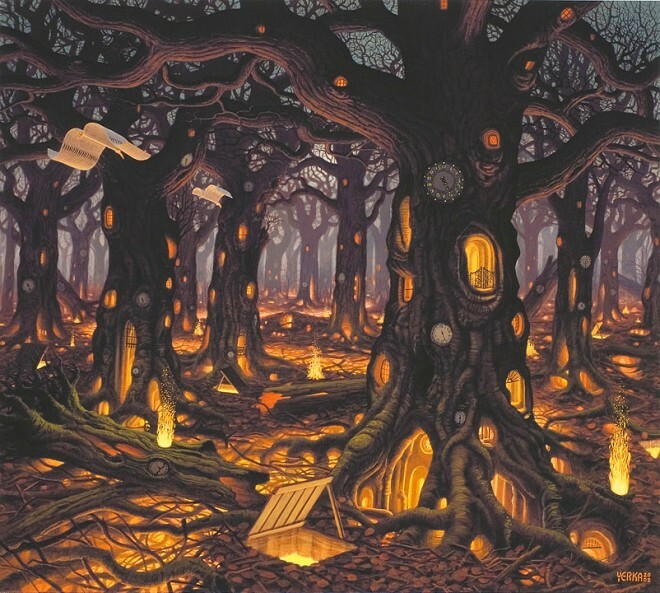 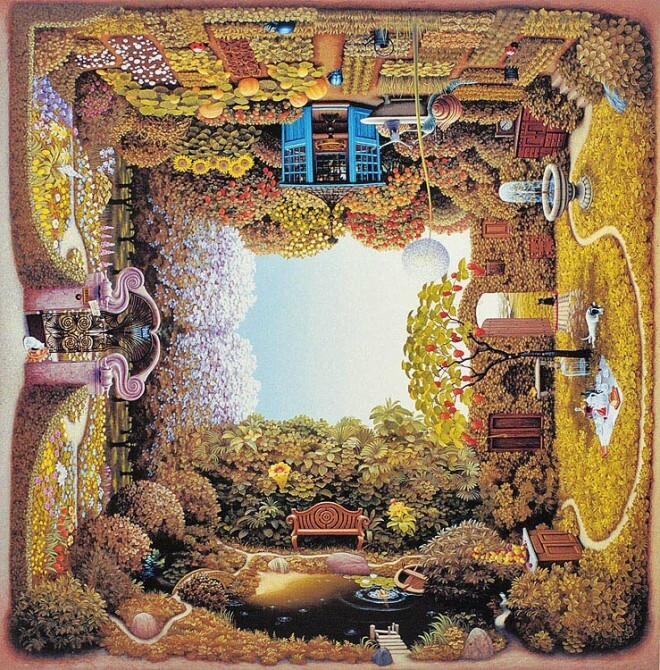 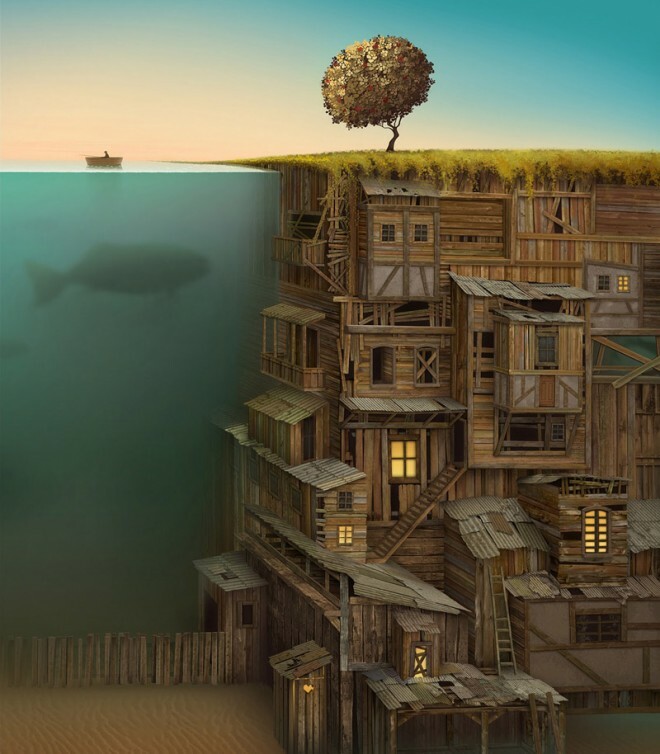 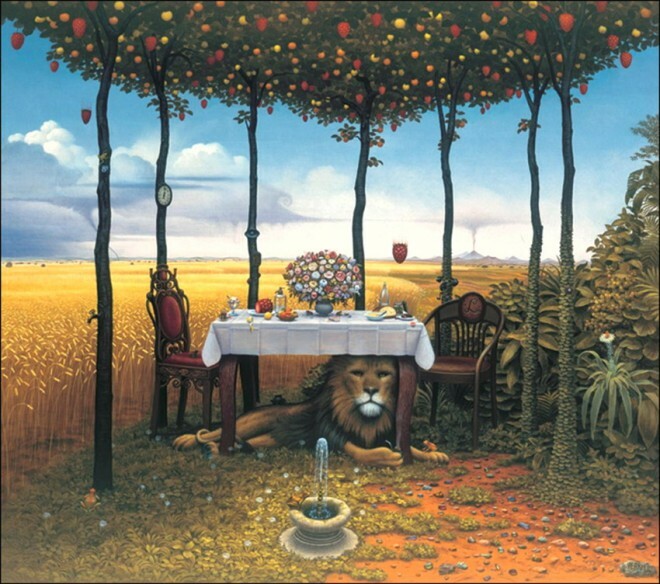 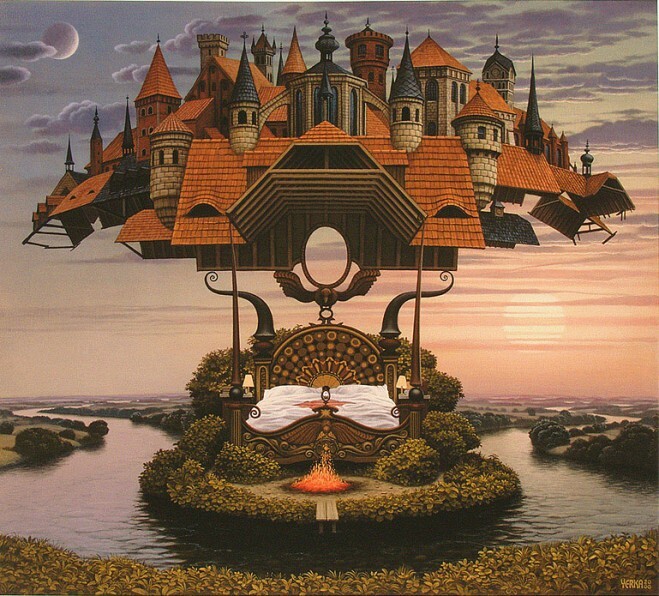 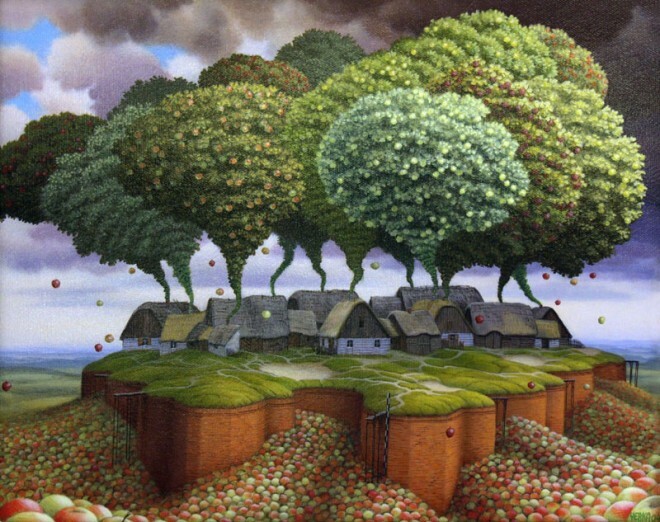 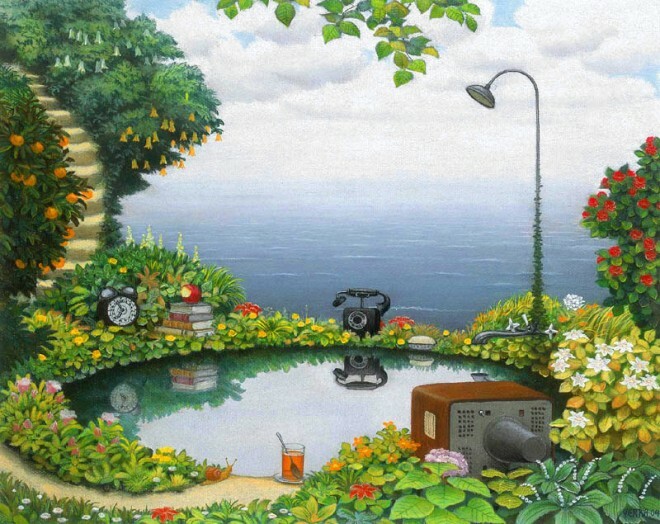 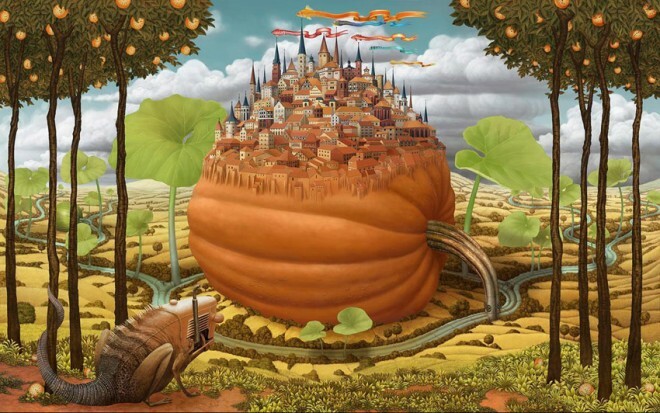 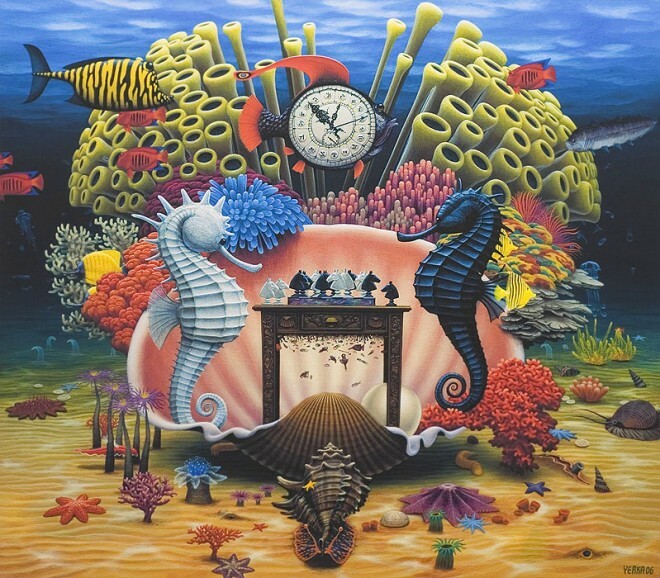 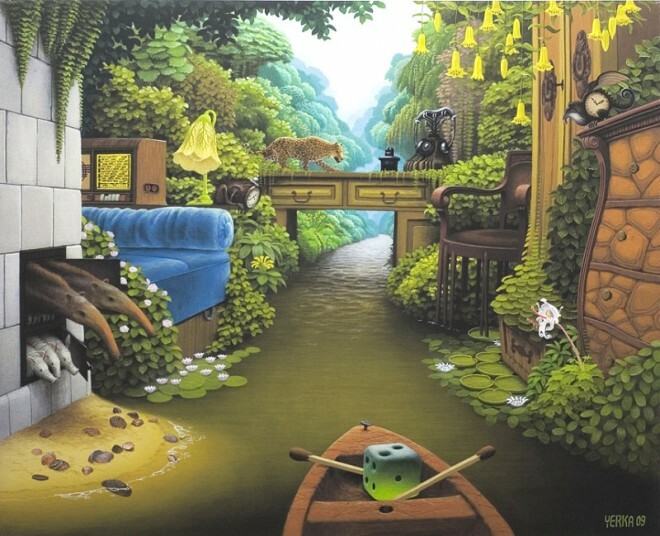 Jacek Yerka Paintings : Along with some magnificent dreams, Jacek Yerka finds inspiration for his masterful paintings from his childhood memories: the places, remembered feelings and smells of 1950's Poland. 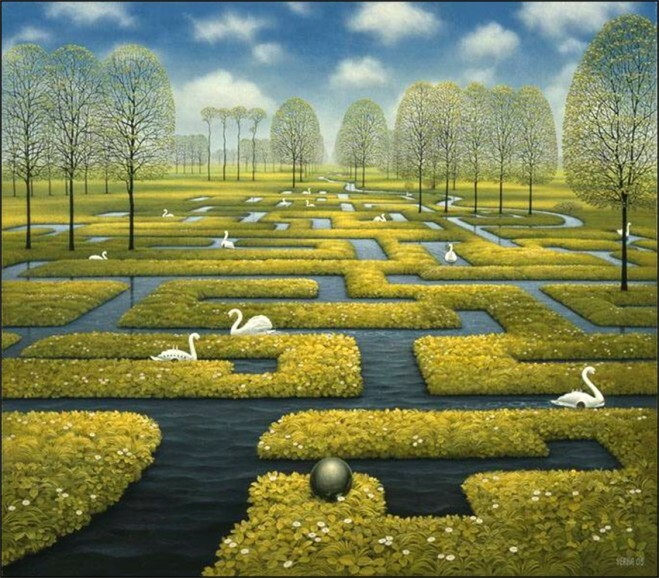 He studied fine art and graphic design before becoming a full time artist in 1980… and we’re glad he did. 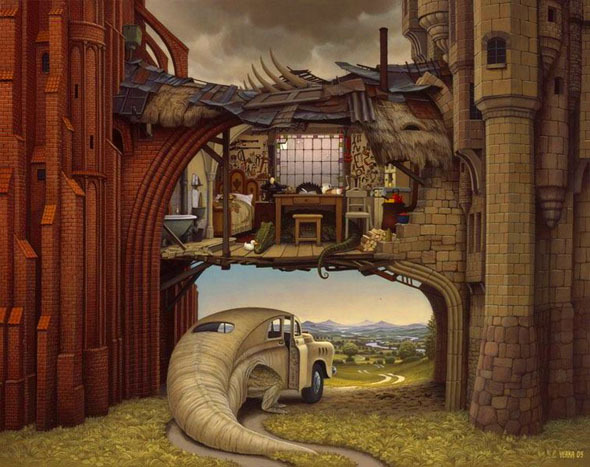 His paintings will take you through incredible worlds of imagination, bending reality in captivating and clever ways fit to inspire a novel or film.